Gripper Doorstops hook onto maintenance carts to travel easily between jobs. Place it under any door. 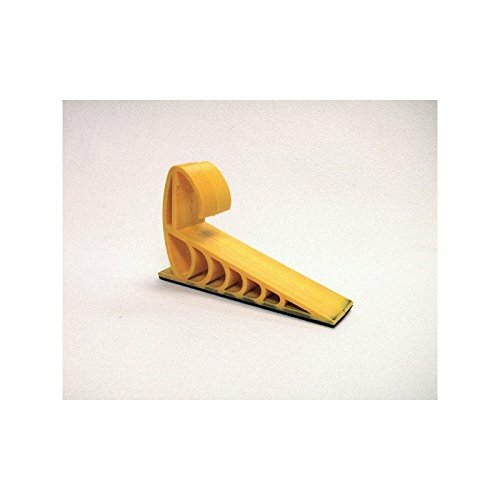 Made of sturdy industrial vinyl, the Gripper Doorstop is perfect for anyone who needs to prop doors open quickly, easily and securely. Its non-slip bottom will protect and grip and surface. The Gripper Doorstop's durable patent pending design ensures that even with heavy use, its performance will not slip. If you have any questions about this product by Expanded Technologies, contact us by completing and submitting the form below. If you are looking for a specif part number, please include it with your message.